If you’ve been challenged with hosting your first corporate function, we’ve done the hard work for you. Get your creative juices flowing by throwing a themed soiree that’ll make for a memorable night. 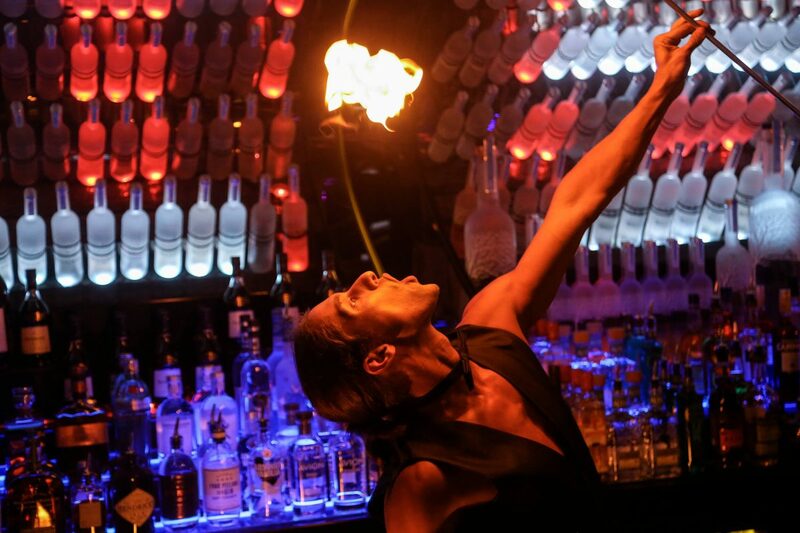 We’re not just talking your classic James Bond or masquerade ball either, we’re going all out, because Bond is the versatile venue fit for pretty much anything! Here are our top 3 Function Themes that are a little outside-the-box. No, this doesn’t mean that your guests have to turn up in leotards and clown costumes. Although we do love the idea of old-school jugglers, a ‘circus’ theme is a little overdone. Instead opt for an acrobat theme for a sexier and sleeker option that has the wow factor. From aerial hoop performers to fire breathers and trapeze gymnasts, astound your guests with sheer talent. After all, it’s not every day that they get to sip on a glass of champagne whilst they watch incredible performers do things with their bodies that most of us could only dream of! Olé, Olé, Olé! Ahhh to be in Spain. Think bright, bold, and a hell of a lot of fun. Feed your guests with delicious Spanish food and decorate the whole venue as a full-on fiesta! Throw some Spanish dancing entertainment and fiesta music into the mix and your guests will certainly loosen up. Our favourite part about this theme? A paella station! Paella cooked and served right on the spot is a totally sociable addition to add to your themed corporate function. As much as we’d love the guests to arrive full Britney Spears – Toxic music video style in steward and stewardess outfits, that’s not actually what we’re going for. Instead, ensure your event takes flight (we had to!) with this interesting and rare theme. Spoil your guestlist with creative twists – turn the guest entrance into a check-in desk, create boarding passes for the seating arrangements and decorate the venue. It’s the little things that count! The key to hosting a great event with an even greater theme to match, is by working with a team of event specialists that know how to make your wildest dreams, a reality. Instead of trying to source caterers, decorations and live entertainment yourself, the team at Bond can take care of everything. With years of experience in the industry, we’ve got the best contacts in Melbourne, and the innovative skills that’ll make your corporate function soar higher than you ever thought it could. Email us on info@bondmelbourne.com.au or call us on (03) 9981 9007 for more information.